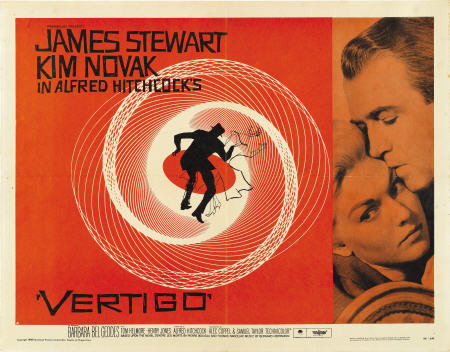 On Saturday I went to the Paramount for an afternoon showing of Hitchcock's classic (and arguably best) film Vertigo. It doesn't take much for me to be excited when it comes to seeing a Hitchcock movie, but on the big screen... AND a 70mm restored print. I was not missing this. I had seen it before but this viewing certainly tops the TCM or DVD version. 1950's San Francisco as the backdrop, rich colors (the red walls of Ernie's, the flower shop, the green of the hotel neon), wonderful costume design, Barbara "Miss Elie" Bel Geddes' comedic genius, Jimmy Stewart's perfected obsession, Kim Novak's eyebrows... wait. OK, actually those waxy looking boomerangs on her forehead were the negative, or I should say distraction. I fully realize that trends change and certainly that the makeup over the last 50 years has experienced several shifts in terms of what is deemed enhancing. This seems a little... um, bold. But what do I know? Let's just say I won't be trying this look out. At least until I'm 70 (coupled with a boa and lots of jewelry perhaps). It was really great to watch this movie with a crowd. There was unanimous laughter during scenes that before just struck me as chuckle worthy, but in this new environment were, yes pretty darn funny. 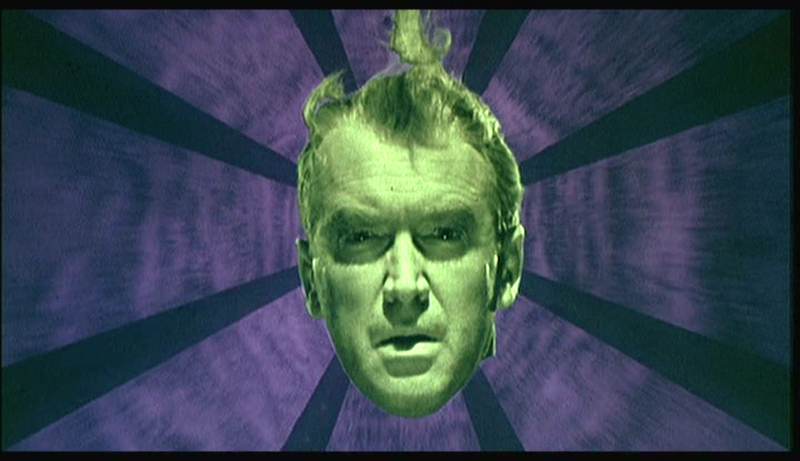 Some of Jimmy Stewart's lines were priceless, particularly when in make-over overdrive. When "suggesting" Kim Novak's Judy change her hair: "Judy, please, it can't matter to you!". He's so intuitive; women generally like to be told how to look, especially when meant to resemble a dead ex. The Paramount's commitment to cinema, in it's choices and presentation, is unmatched. The Summer Series continues through September. I may need to mark my calendar for Anatomy of a Murder and Rear Window. I almost forgot to post this picture. 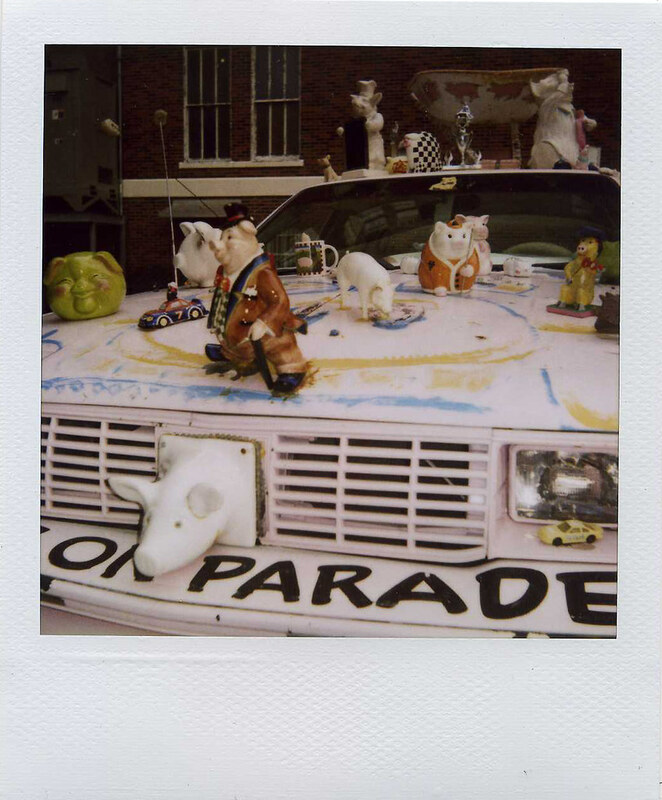 I saw this fabulous (inexplicable but brilliant) pig-mobile on my walk back to the car. I think the lady that owns it also owns a pot belly pig. She might like pigs. Just a hunch. There a few more pictures here (look towards the bottom of the set).